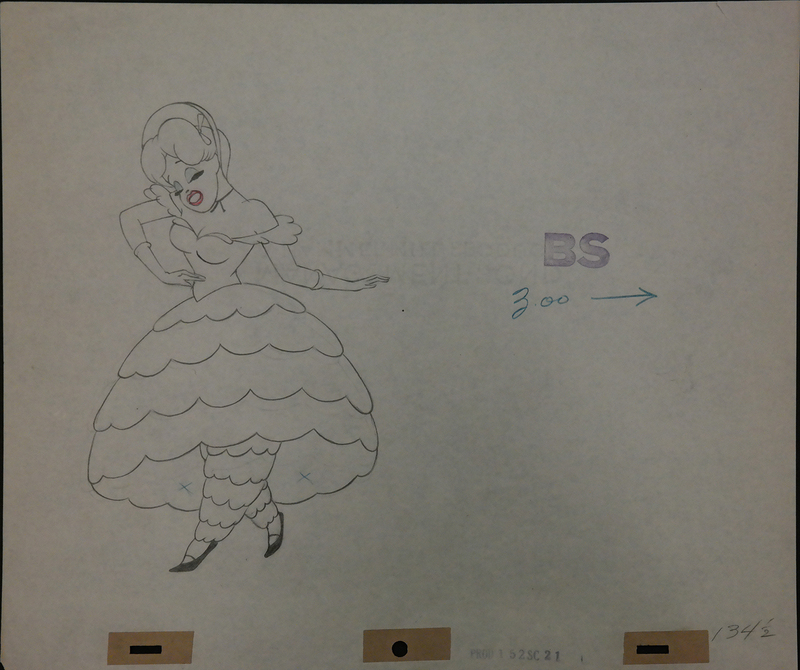 This is a great original production drawing of Lettle Eva from Uncle Tom's Cabana (1947), directed by Tex Avery. Some include it as part of the Red Hot Riding Hood Series. The animation paper measures 10.5" x 12.5" and the image measures 10" x 6".